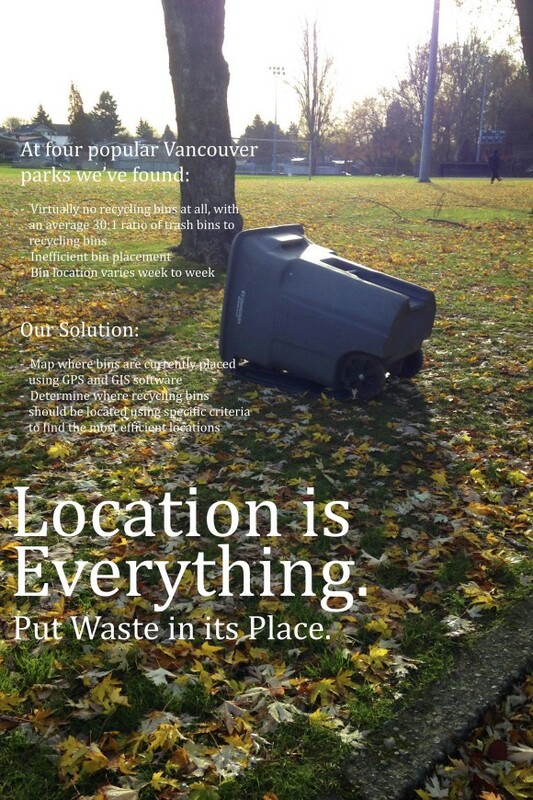 This project was conceived as an initiative to solve the problem of waste disposal in Vancouver parks. 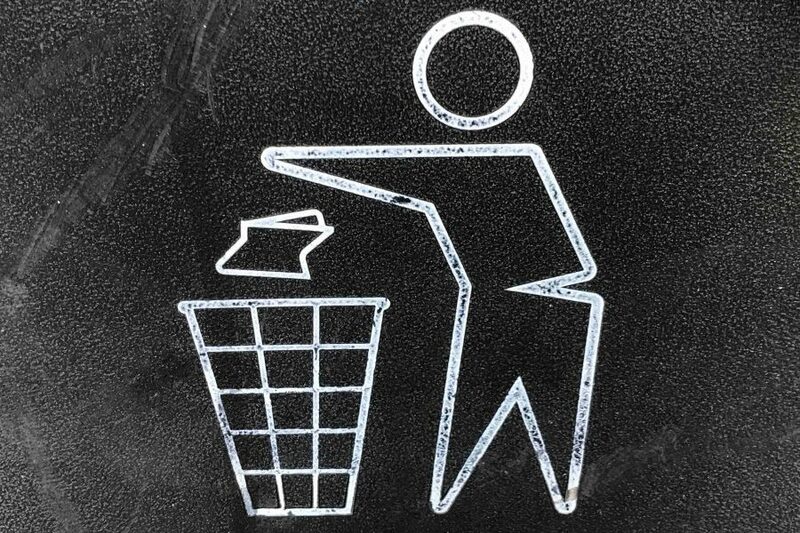 Based on our observations, it became evident that the current waste disposal system implemented in the parks around the city was not adequate enough to achieve the Zero Waste Goal set out by the 2020 Greenest City Action Plan. Research was conducted to determine how other cities have implemented garbage and recycling programs in their public spaces to help formulate a system for Vancouver’s parks. After consulting with several city officials, field research was necessary to further understand the seemingly impossible problem of public waste. Studies were conducted in four different parks and a GPS device was used to pinpoint the location of every waste container in each park. Using GRASS GIS software, maps of all the parks were created that illustrate where the bins are currently located and where the proposed location should be to increase the efficiency of each bin and to achieve proper waste diversion.